Plans for a US-led coalition to train a 30,000-strong border security force in Syria has been met with strong opposition from Turkey and Russia. 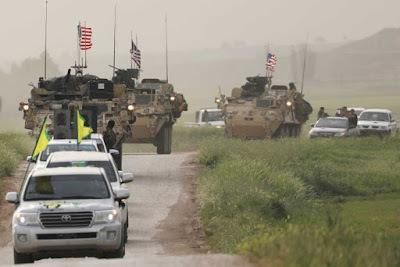 The coalition on the wejsaid initial training was already underway of the Kurdish-dominated force that would secure Syrian-opposition-held territory bordering Turkey to the north, Iraq in the south-east and Syrian forces backed by Russia and Iran along the Euphrates River Valley. The group will be largely drawn from Syrian Democratic Forces (SDF) — an alliance of militias in northern and eastern Syria dominated by the Kurdish YPG.